India's First Real Estate Experience Centre Launched In Mumbai. If you're a common man who's looking for a suitable property, You know the hassle which comes along with it. The so-called home buying experience is good at first, But the ability to consistently visit places just to convince yourselves can be a bit frustrating later on. So tackling this problem, Magicbricks.com came up with an impressive idea by leveraging today's cutting edge technology to visit real estate properties from a single location or in fact any place for that matter. If you just guessed it, Yes I'm speaking about Virtual Reality technology & Augmented Reality combined with the real estate property viewing experience. So by introducing this in Western Express Highway, Magicbricks has launched India's First real estate experience centre at Metro station. So today let's find out more about the same. India's First Real Estate Experience Centre Launched In Mumbai(Virtual & Augmented Reality). So on 16th November 2016, Magicbricks inaugurated the first ever real estate experiential centre in Mumbai. It was their attempt to eliminate the struggles one needs to do while hunting for an excellent property, They've combined Virtual Reality and Augmented Reality to provide never before seen property viewing experience across India. Whereas they're the first to do it & by actually using it live on the inauguration day itself, I felt that not only are they first to implement it, But they're also the first to do it correctly. Both buyers and sellers are going to be hugely benefited due to the experience centre as it bridges the gap between that conventional method of viewing any property. 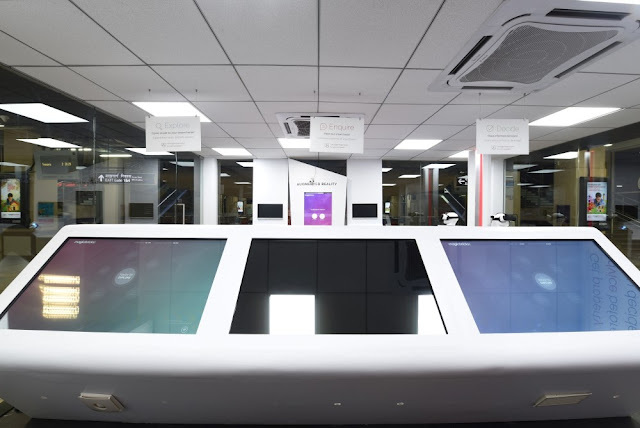 They've incorporated VR Headsets, On-Demand video call, a dedicated AR panel and large touchscreens to find the right resources or deals with in-depth information on everything. Everything feels well implemented and even if you've any questions, You can get them answered by asking them via a video call at the experience centre itself. The experience centre has six distinct key areas which help a buyer to search his query, all the way ranging from browsing property listings, various financial calculations, property comparisons, virtually speaking with advisors, immersive VR walkthroughs, Augmented Reality Maps and wide touchscreen based map searches with detailed property info compared with nearby localities. I tried every other device present there, and the Virtual Reality experience with Samsung Gear VR headset was my most favorite experience of all. 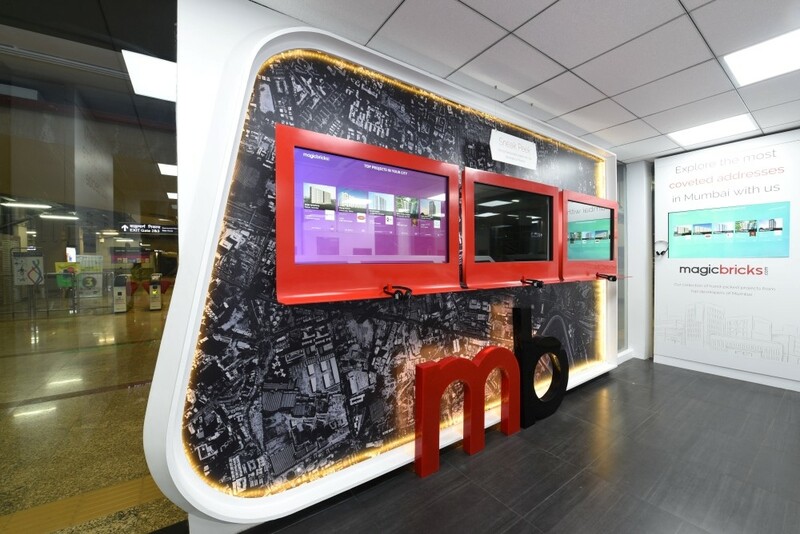 Everything was well implemented, and I was always exploring something new when using a device in its particular section.The Magicbricks Experience Centre has been located in Concourse 3 at the recently inaugurated Magicbricks WEH Metro station at Andheri, Navi Mumbai. It's open for everyone to go and try for free, There are no strings attached. Mr. Sudhir Pai, CEO, Magicbricks.com, commented during the launch, “The experience centre is a coming together of high-quality hardware & software that addresses very specific ‘issues’ in the consumer's property journey. We imagine that centre would enhance the home buying process to a different level. This experience centre celebrates our strengths in applying technology to solve real problems in a meaningful, scalable manner. We’ve been absolutely delighted by the early feedback we’ve received from consumers, & from developers, who have visited our Experience Centre. This is a validation that combining Online, with a tech-driven offline presence would significantly enhance the value that we deliver. We aren’t happy with merely being India’s leading property portal; we want to be India’s most loved property portal as well”. 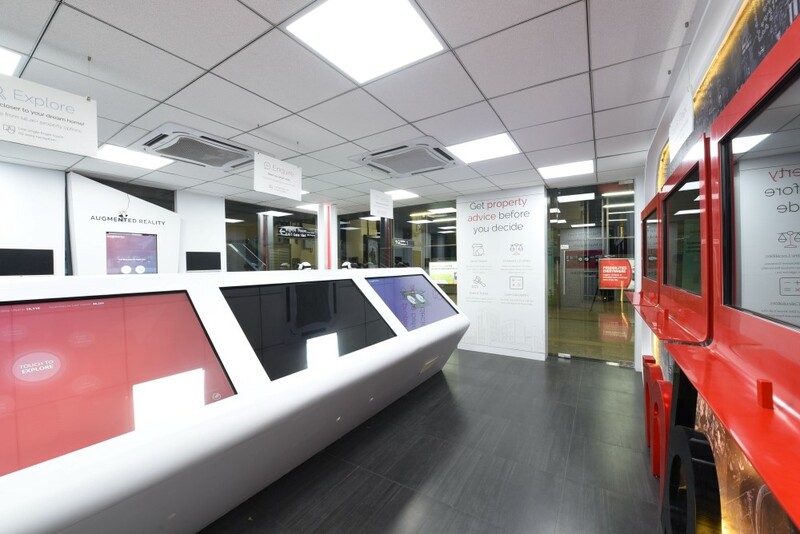 The primary focus around the Magicbricks Experience Centre is in three key areas: Virtual Reality, Augmented Reality, and Match My Needs section. Sometimes WhatsApp photos can't convey the message of delivering the replica of how the place looks like as it's in 2D. Well now with the VR-Zone, You can strap a Samsung Gear VR Headset present at the venue and have an actual look at each and every room of the property in all directions. One can also have a look at how his under construction flat might look like with predefined rooms in the headset; Now how cool is that? In this department when you hold the 2D map of any location in front of the Augmented Reality Camera, It'll automatically show up a Bird's-eye view of the map in real-time. It was my first ever Augmented reality experience, and it was giving me chills, I still feel it haha. As long as the program has the location fed in its memory, you can look for that area in the same manner. In this Zone, One can head over to one of the touchscreen displays present at the venue and search for any property in Mumbai. Whereas the user will have in-depth information about the developer, his project, and other risks. Since Magicbricks is incorporating their database here which is a result of 8 years. So everything regarding the same can be found on the "Match My Needs" application. So the Magicbricks Experience Centre is the first time I've personally witnessed property viewing experience to a whole another level. I never thought this would how one would search for their dream homes in future, but hey it's happening as the technology is evolving. Whereas to gain exposure at it's best, Western Express Highway Metro Station could be the perfect location for its debut as the station receives 3 lakh commuters every day. Since Andheri is the place where the principal corporate offices are situated, that'll be a great opportunity for the Magicbricks Experience Centre to nourish with the audience and someday we all might totally depend on it. If you stay in Mumbai, You should visit the centre to understand how it's shaping our future.